Another real-life wedding feature for the collection! 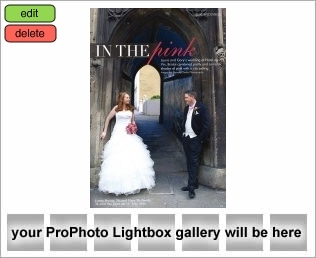 This one appeared in the April / May 2011 edition of Bristol & Somerset Your Wedding Magazine. The real-life wedding feature is of Laura and Gary Richards wedding at the Hotel du Vin in Bristol which took place on Saturday 31st July 2010. For a closer look, visit my features page www.smcphotography.net/features.html.